I love this figure's design and visual appeal. 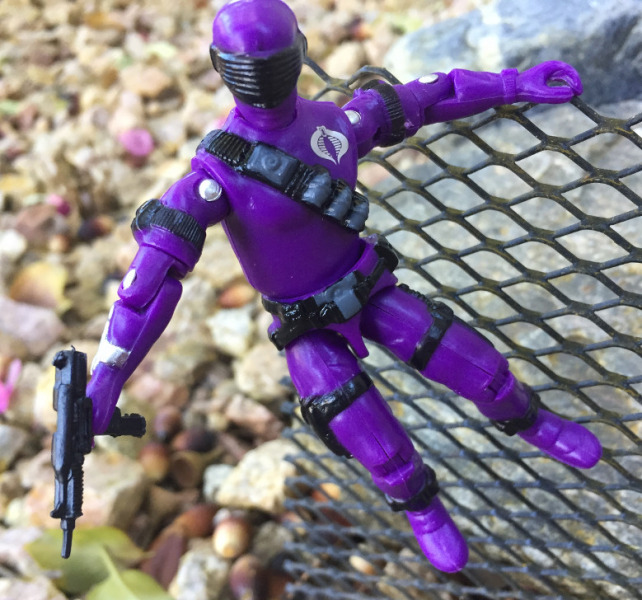 The V2 Snake Eyes mold as a Cobra isn't for everyone. But, it really works in this color scheme. I can't decide if I like this figure or not enough to get one. He looks really nice either way. I think this figure likely should've had the Cobra Emblem omitted. I think this figure likely should've had the Cobra Emblem omitted, but there's no denying he's an amazing figure, who's unique colour and classic appearance more than make up for the QC issues.